Aliens of the Mind started life as an outline for TV’s Doctor Who by the show’s script editor Robert Holmes. Although not commissioned for the show, Holmes was asked to develop the idea for Radio 4. 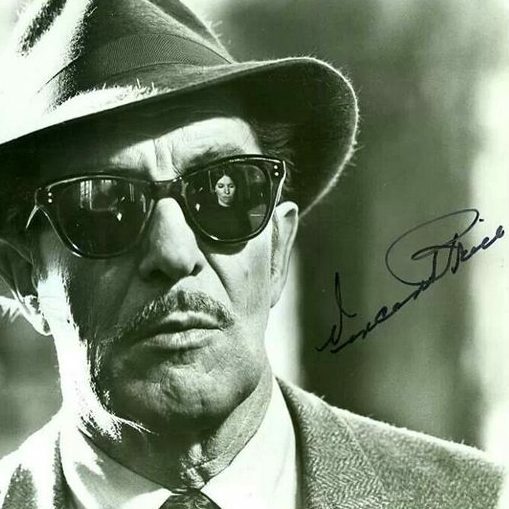 However work commitments meant that the scripts were ultimately written by Rene Bascilico based on Holmes’ original idea. The six-part drama centres around the discovery, on a remote Scottish island, of a community of ‘human mutants’ capable of telepathy. A plan is in place to use them to control the British Government, and friends Curtis Lark (Vincent Price) and Hugh Baxter (Peter Cushing) join forces to combat them. Originally broadcast on BBC Radio 4 in 1977. The death of a man on the remote Scottish island of Luig sparks a sinister discovery. Can two doctors get to the bottom of the mystery? Curtis and Baxter try to get Flora off the island of mutants. The doctors return to London to continue their investigation of Flora’s powers. The authorities want to conceal Flora’s presence, but how long can she fend them off? A colony of mutants exists in the heart of London, and the only person who could fight them is dead. An MP discovers that he is a mutant being manipulated by an unidentified controller. You can also listen to the radio drama in full from the Internet Archive. Awesome story for radio. But tell me, just who was Rene Basilico, the writer? Hi Barry. Rene Basilico was a writer for radio and TV, whose other work included The Price of Fear episode Fish and Travels with My Aunt starring Dame Hilda Brackett for radio and Uncle Tulip (Comedy Playhouse) and John Browne’s Body for TV. He also directed educational shorts in the late 1960s and early 1970s.